Stand out from the crowd by offering your clients the benefits of healthy living. 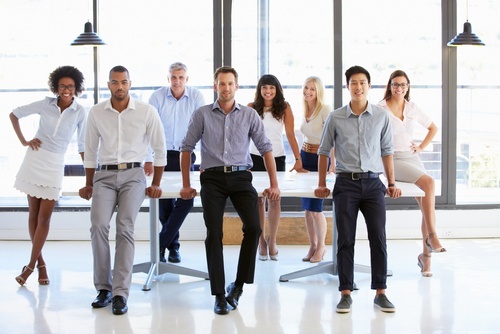 Has your company been reaping the rewards of an employee wellness program? Then, you are well-versed in the benefits these programs offer – from reduced employee absenteeism and healthcare costs to increased morale and productivity. Do you think your company’s clients could also benefit from their own program? Would you love to offer them access to the same health and wellness tools that you and your coworkers enjoy? Then consider partnering with Wellworks For You as part of our corporate wellness management Company Affiliate Program. Corporate Wellness Management Affiliation – How Does It Work? Wellworks For You customizes a Wellness Program strategy for your client, designed to meet their specific needs and preferences. Your client is provided with everything they need to meet their wellness goals, but our white-labelled program makes you appear as the expert corporate wellness consultant. With what we know about the proven ROI of wellness programs, your clients shouldn’t hesitate to count on you – someone they already have a good relationship with – to help them achieve their wellness goals. Afterall, companies with corporate wellness programs can see their healthcare increases go from the high 30% range down to single digits within the first two years of wellness program implementation. As you embark on your new adventure in corporate wellness management, take a cue from some of the best programs out there. What do they all have in common? All of the best corporate wellness companies recognize that the ultimate goal is to create a culture of wellness, where employees choose to live healthier, without feeling forced. Here’s how some of the most successful companies out there approach health and wellness in the workplace. Provide the Tools: Draper Inc., an Indiana based company, was voted “healthiest workplace” in 2014. How do they do it? Besides weight-loss challenges, walking competitions and Zumba classes, the company also features a “Wellness Park.” The space includes a walking track, workout stations, and volleyball courts. Encourage Fun: Online retailer Zappos offers the standard gym memberships and fitness classes, but also takes it a step further with “Recess Tuesdays.” On Tuesdays, the Zappos plaza is transformed into a playground, and employees are free to take a break to shoot some hoops, play tetherball, or simply hang out. Practice Sustainability: Green company Earth Friendly Products is obviously committed to creating a more sustainable workplace. Each office features an organic garden that employees are free to harvest from, and they also hold RE-Parties, where employees can swap clothes and household items. Is corporate wellness management sounding more and more appealing to you? Learn more with our free Broker Affiliate Demo, and start saving your clients money (and improving their health!) today!